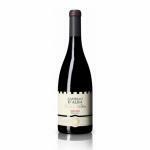 The Castello Dalba Old Vines Grande Reserva : a red wine from Douro produced by CARM. Uvinum users evaluate this red wine with 4 out of 5 points. What's the evaluation of the Castello Dalba Old Vines Grande Reserva? What are the opinions of other vintages or volumes of Castello Dalba Old Vines Grande Reserva?